We recently had the opportunity to chat with Mark Greer, co-founder of Biveo.com, a directory and guide for producing effective marketing videos. The following is a little Q & A we prepared to help musicians better understand how to create professional videos to market their services. Why do you think having a professional marketing video is a good investment for freelance musicians? Video is a very helpful tool for clients interested in learning about your service. A marketing video can do the selling for you. It can attract more clients with less effort, and enable you to charge full value for your service more easily. Where should a musician begin if they have no experience producing video? 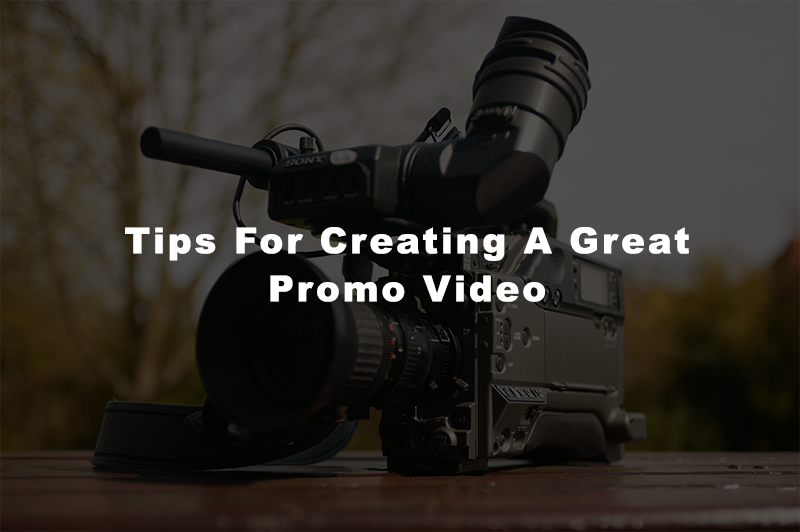 Regardless of whether you are producing it yourself or hiring a pro, start by reviewing these 10 tips as they will get you better prepared to produce your best video. We recommend producing a 30-second A-roll/B-roll narration with shots of you performing and recording that leaves the viewers wanting more. Longer is OK, but put your best in the first 30 seconds. If you prefer to produce the video yourself, expect to spend 10 to 15 hours working on it if it’s your first time. If you prefer to produce everything yourself but the editing, expect to spend 2 to 5 hours working on it and to pay around $150 to $500 to have a pro only do the editing. If you prefer to hire a pro to do it all (script, shoot, edit), expect to spend about 1 to 2 hours of your time (being asked about your business for planning the narration and B-roll shots as well as being interviewed/reciting a script in front of the camera), and to spend around $300 to $1000 (as it will typically require 5 to 8 hours for your pro to complete the video). Videographer cost is more influenced by videographer equipment and talent level than number of hours required to complete. Directories and guidelines for each option, and sample videos can be found here. Is it important to have either a location or a video concept in mind before starting the process? Can I use existing footage of live shows and recordings, or do you think it’s best to shoot the entire thing be shot from scratch? Any past video footage that you or perhaps a friend has already captured using a smartphone of you either performing, recording, or interacting with a client can be gold. Always be in the habit of capturing your performances at least on your phone. Good audio is not important for these shots as they will be used as B-roll shots that lay on top of your narration and background music. The more diverse scenes of your performances you can wow your clients with, the more experienced you will come across to your clients which enables you to attract more clients at higher rates. Do you have a recommendation as to the best approach for our members to make the best possible video? The best approach will depend on the musician’s level of video skill, budget and free time, but regardless of these factors, we definitely recommend starting with the article, 10 Ways You Can Help Your Videographer Produce a More Compelling Video for Your Business. Are there any common pitfalls to be aware of? A bad video can be harmful. The main pitfall is accidentally including footage that can cost you clients. For example, a restaurant may have a very effective marketing video up until the point you see the cook preparing food with his/her bare hands and not wearing a hair net. Take the time to get feedback on your video and get it right. It’s also common for many businesses to create a video that is too long and not concise enough. Put your best footage in your first 30 seconds. This is typically all that browsing clients have the patience for. Another pitfall is choosing a videographer that does not have the skill level you need. We still see some videographers using standard definition cameras, consumer-level editing software that makes clicking noises between scenes and poor audio, and a big one, the inability to coach you to look comfortable on camera when speaking. Many videographers say that marketing is about telling your story. But in marketing, the most common mistake is putting out a message that is self-congratulatory. The best marketing message is one that honestly communicates what you can do for your client. Your story should be told only to the extent that it communicates what your service can do for the client. Can you give an idea of what people can expect at different budget levels? At the most basic cost level (say $300), don’t expect any preparation. A videographer will probably ask you interview questions and then pulls out your best soundbites. Shots of the business (B-roll) are done on the fly. An example: https://www.youtube.com/watch?v=mErYgiyRp8U. When you get up around $1,000, expect to get something more planned out and well-produced. Expect shots to be better designed to build excitement for your business. An example: https://www.youtube.com/watch?v=WgxFzifZdg4. How should a videographer be selected? And what kinds of questions should you ask a videographer before getting started? Most importantly, their example work should impress you and fit what you’re doing. A pro with amateur equipment can still shoot far more impressive work than an amateur with pro equipment. If you’re on the fence with a videographer, you can ask about the following. What type of effects are you capable of? DSLR cameras are capable of aperture setting focus shifting for a more cinematic look. Camcorders are fast, efficient and collect great audio. A pro that owns a hybrid camera ($5000+) is bringing the best of both. What type of audio collection are you using? They should have an XLR lapel or shotgun mic. A separate audio collection device may hint that their videos might have issues with narration lining up with the picture. A non-XLR built in camera mic is not acceptable as it will produce hissing and static. What editing platform do you use? They should be using a commercial non-linear editing program such as Adobe Premier Pro, Final Cut, Resolve and Avid. Using consumer-level software can still work fine, but don’t let them charge commercial prices. Will you be shooting in at least HD, if not 4K? We still run across videographers shooting in standard def. How many cameras will you be using? Number of cameras is an important question if shooting a live event, but one camera is enough to produce a marketing video. More than likely you’ll find several videographers whose styles suit your needs. And once in that position, evaluate their level of professionalism. Are they responsive, accommodating and fair in their policies? Once produced, do you have any suggestions on how a musician can bring attention to their video? After uploading the video to your Vimeo or YouTube profile, add it the directories you advertise on, your social media, and your own website for starters. We’ve compiled a more complete list of 8 categories and sublists of places of where to add your video here. Tell us a bit about how Biveo facilitates the process of creating marketing videos from the client’s perspective? We have a starting page that lists three approaches to creating a marketing video for musicians and where to go to begin each here. There is some very concise, well-evolved, free how-to guidance for producing it yourself, as well as an open directory of videographers and editors for hire that specialize in small business marketing videos. You are able to contact, work with and make payment to videographers directly. Can you share a relevant example?